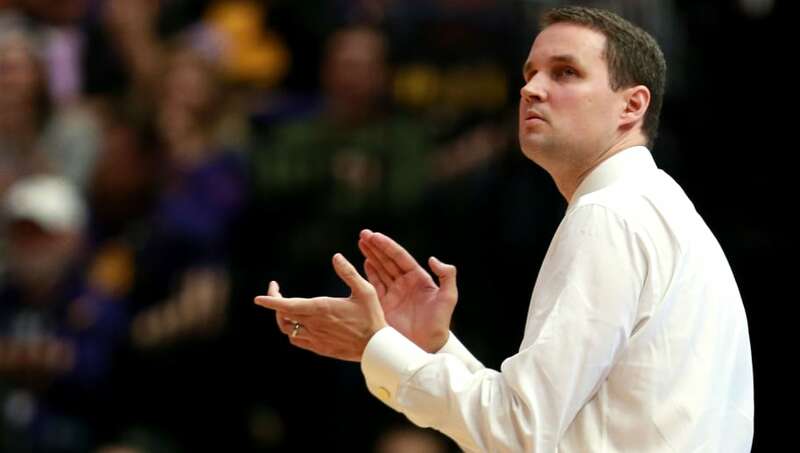 ​The LSU Tigers men's basketball program has spent the last couple months immersed in controversy surrounding head coach Will Wade, an FBI wiretap investigation, and a whole mountain of uncomfortable questions. ​After meeting with school and NCAA officials on Friday, however, Wade's suspension has now been lifted. He is officially reinstated as head coach of the Tigers. ​​In their official statement, the university revealed that Wade answered all relevant questions and denied any wrongdoing in regards to allegations made by the FBI. LSU stressed that they were disappointed in Wade's refusal to comply with their first request for an interview, but understood that Wade would have been "exposing the University and the basketball program to great risk." They also noted that they've seen no evidence of legal wrongdoing on Wade's part. LSU announced ​Wade's suspension back on March 8, after the FBI released a conversation between himself and wannabe agent Christian Dawkins about pursuing a potential recruit. Dawkins was convicted of wire fraud and conspiracy to commit wire fraud to get recruits to commit to Adidas-sponsored basketball programs back in October. In Wade's absence, Tony Benford served as the interim head coach, where he led the Tigers all the way to the Sweet 16 of this year's NCAA Tournament. While everything appeared to be ugly and strained when it came to Wade and LSU, the university believed in the coach's answers, and as a result, he regained his job.